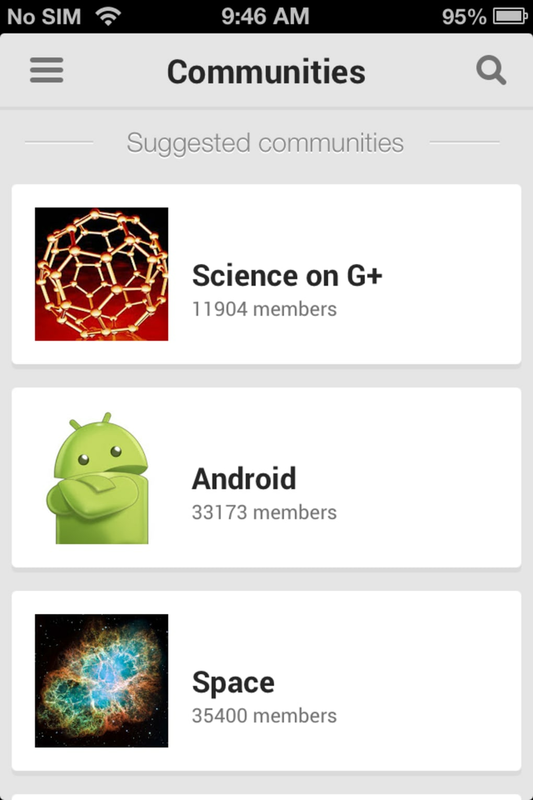 Google+ updates with a completely new interface and experience for iOS users. 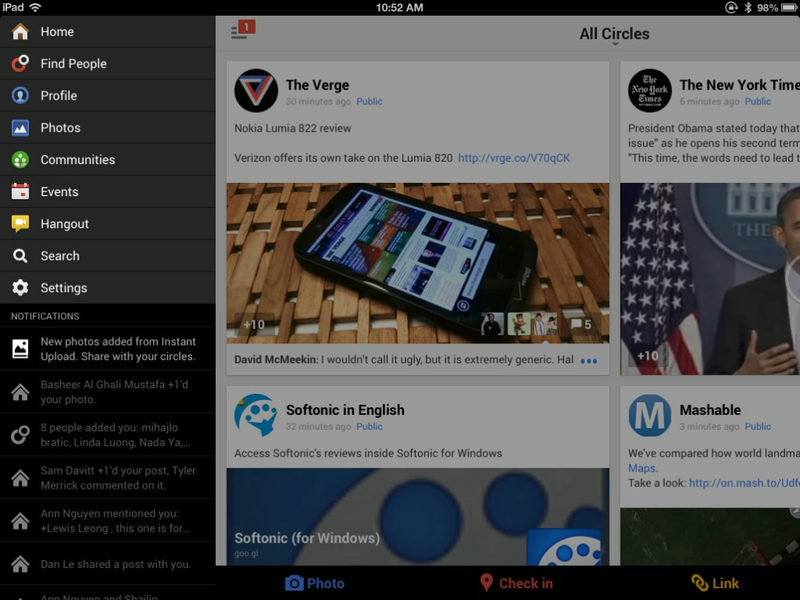 The new interface looks modern and has no doubt taken some design cues from the awesome Flipboard app. 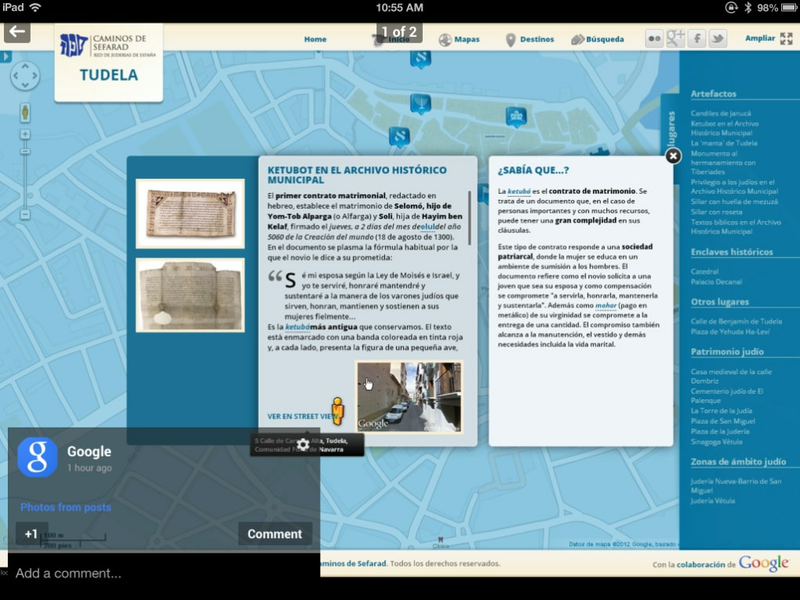 Users will find a new news stream that has been redesigned to be more visual. Each story and link takes up almost the entire screen. 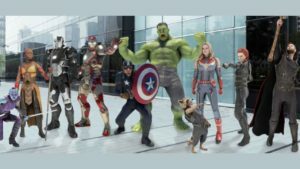 The main story photo is overlaid on top of the user's avatar photo. 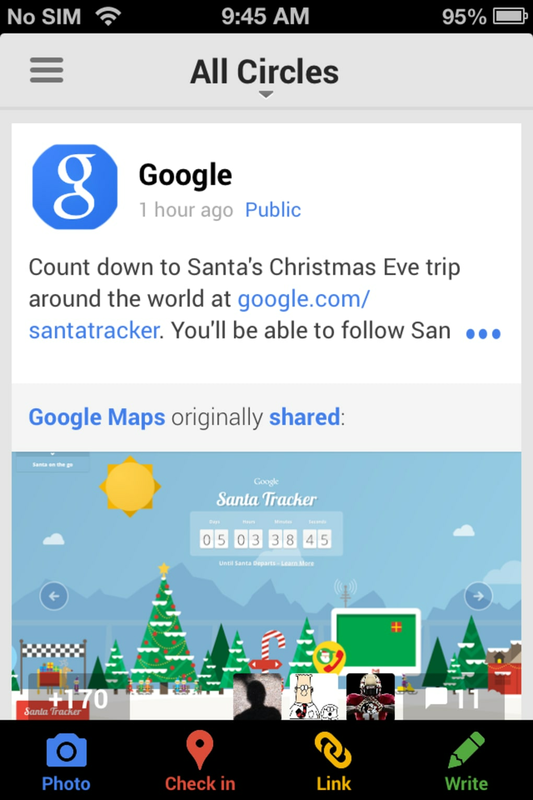 Tapping on a story in your Google+ feed will bring up the link and comments. Commenting and "+1-ing" are still the same. 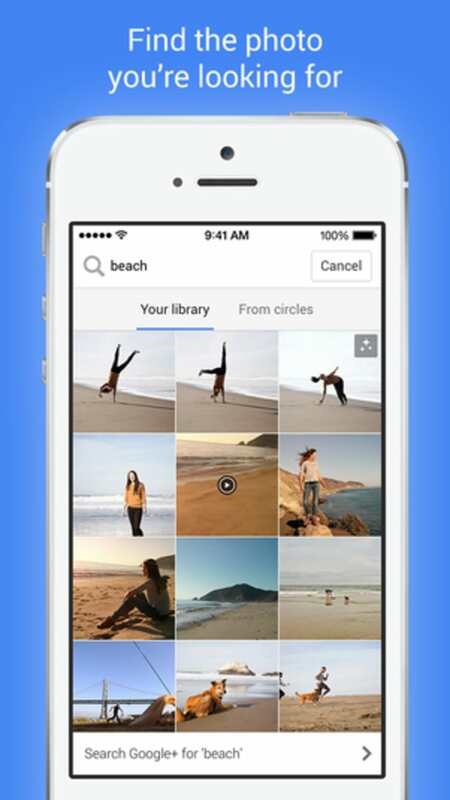 Moving away from the stream, you get quick access to your pictures, profile, circles, messenger, communities, and more. 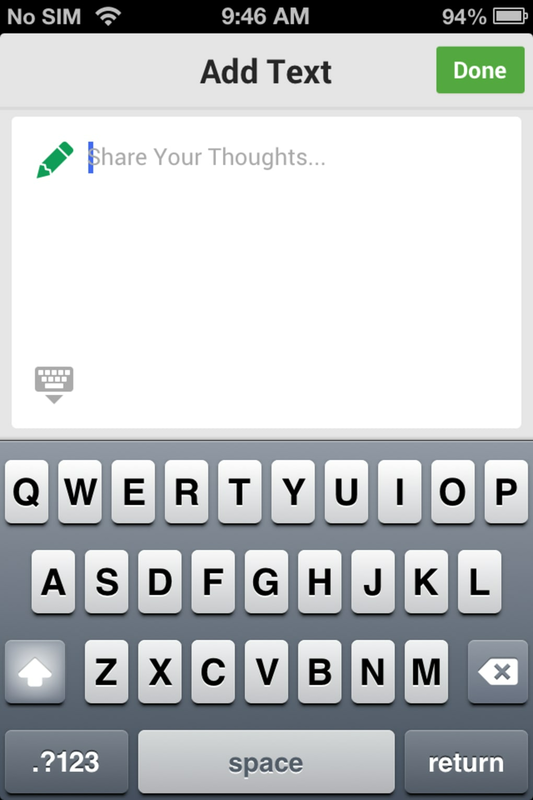 Speaking of chat, the Hangouts interface has been redesigned with big touch-friendly buttons. 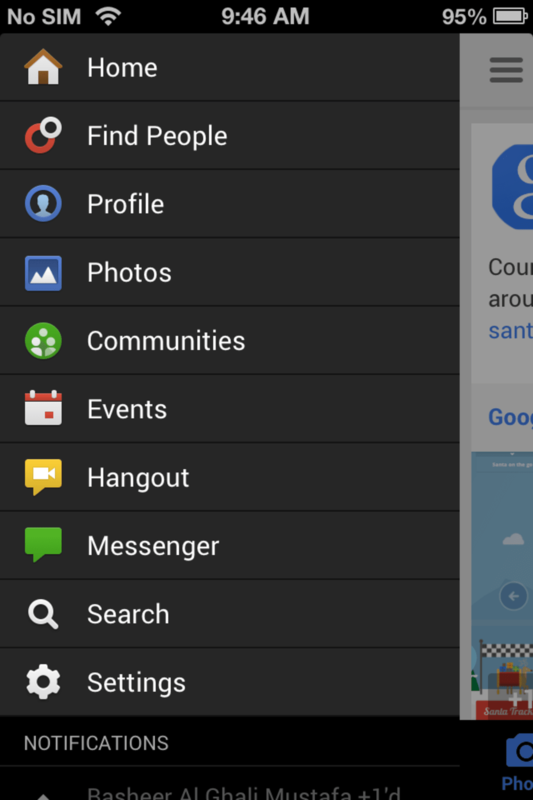 One of the killer features of Google+ is Hangouts, which allows up to 10 users to chat with one another. This update of Google+ makes video chatting in the app a smooth and visually striking experience. 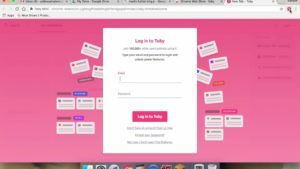 Sharing to who you want is great after you've added your friends and family to different "circles." 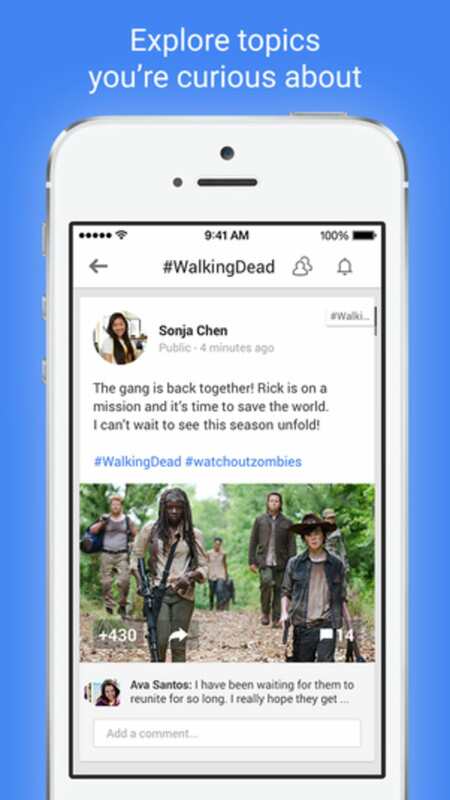 You can share publicly or share with specific circles. This is much easier to manage than what Facebook has to offer with their "lists" feature. 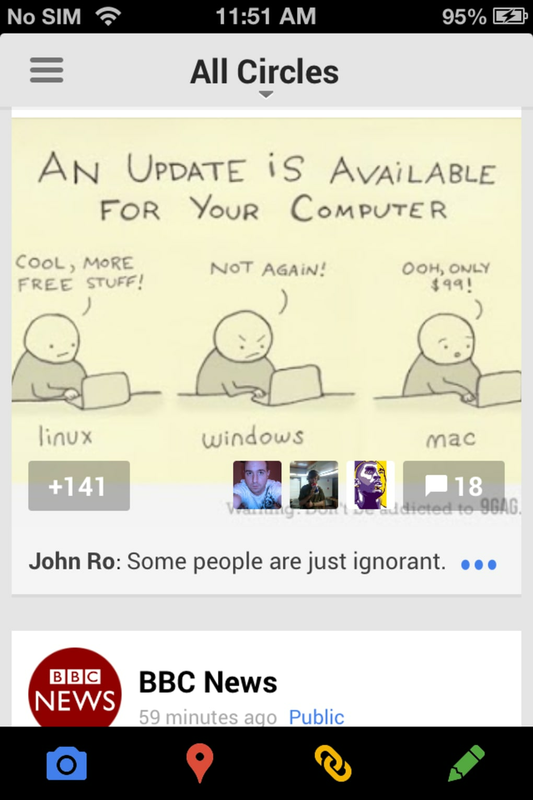 Photo viewing has also been updated in Google+. 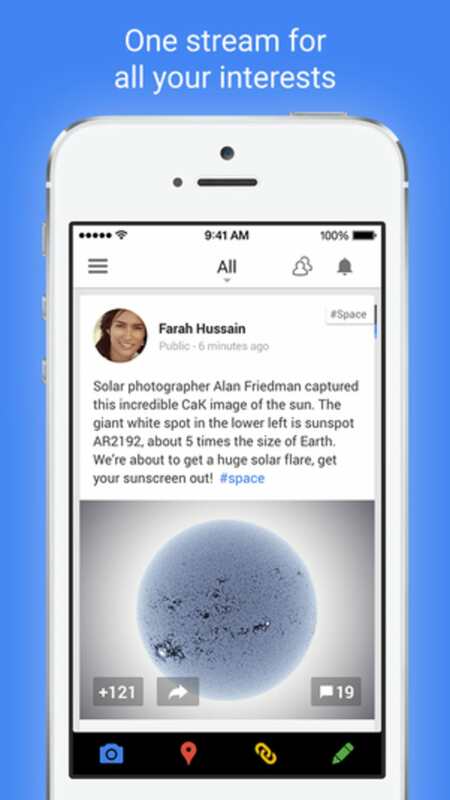 You can now see the number of pluses and comments on a specific photo before tapping on it. 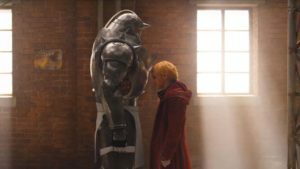 While gifs won't animate in the news feed, they will once you tap on them, though performance is slow. 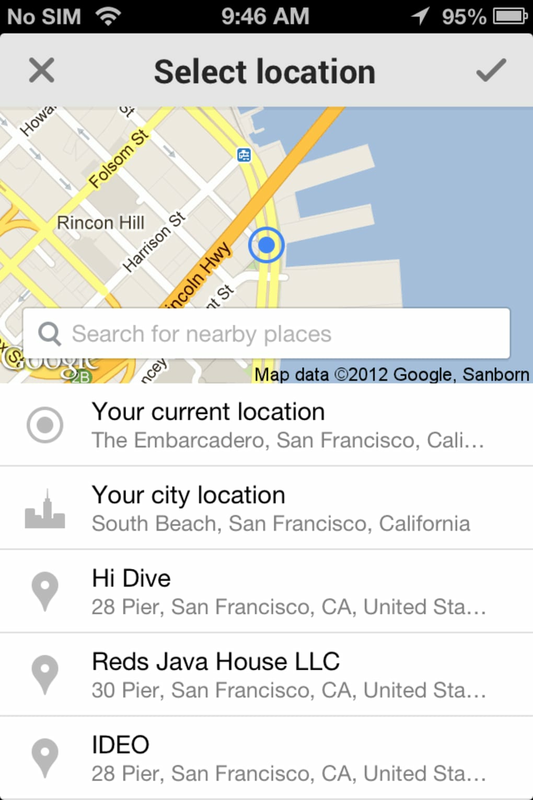 While Google+ is visually stunning, many lower resolution pictures will look bad and out of place. 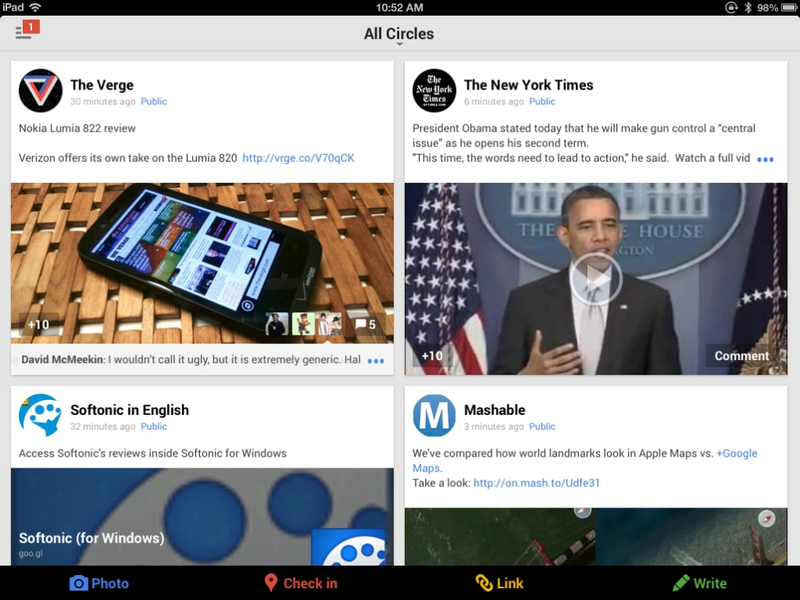 iPhone and iPad users have the ability to view and interact with Google+ Events and Communities. 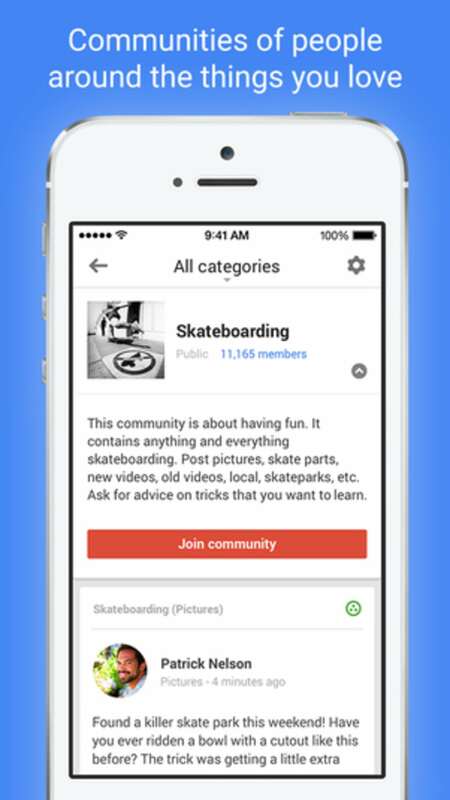 Communities is a great addition for those looking to discover others with similar interests. 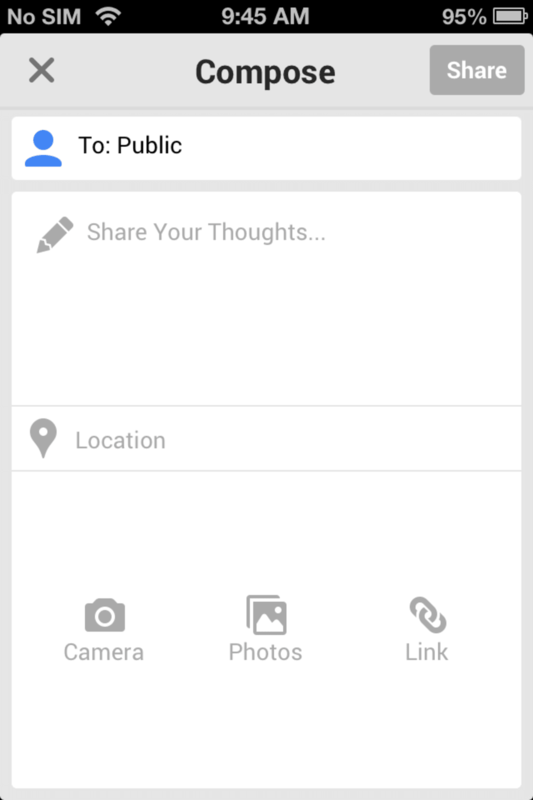 You can respond or create Google+ events within the app. 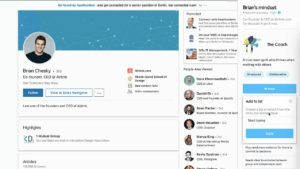 In the most recent update to Google+, Google redesigned the app to feature quick access to photos, check ins, sharing links, and status updates in a bar at the bottom. 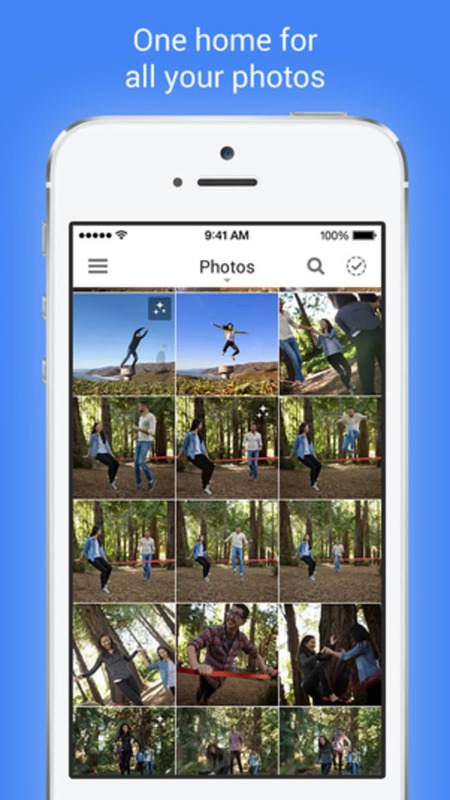 Photos are especially easy to share as they appear automatically when you first launch the app. Google really wants users to share photos using Google+ and has made tagging, sharing, and checking in much more streamlined. 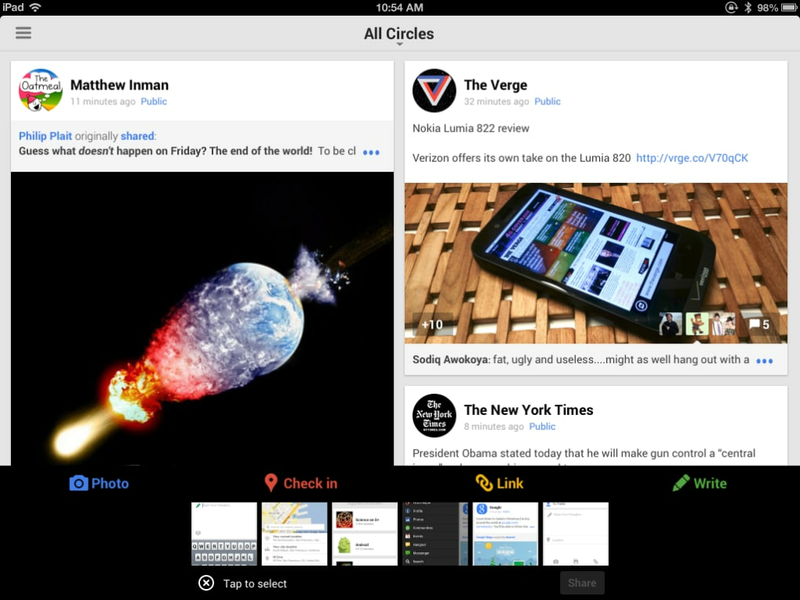 Overall, Google did a good job of updating Google+ to be more visual and easy to use. Now if only more people would join and use the service!